The Hinkley Meridian Art Deco style 3 light ceiling pendant finished in brushed nickel, supplied by Elstead Lighting and designed by Hinkley. 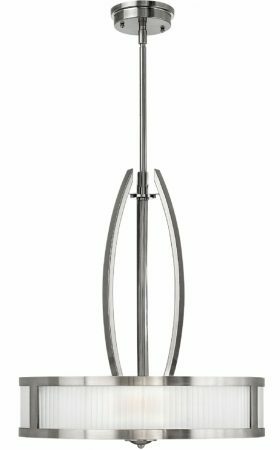 Ceiling mount and central drop rod, with three heavy flat profile curved supports around the central column, a framed shade containing the lamps and surrounded by 13 mm thick faceted glass. This is a particular feature, with a clear inner and etched glass outer for a softer light. Supplied with one 150cm and two 30cm drop rods that can be used singly or in any combination to suit your installation. Minimum height 63cm, maximum drop 138cm. Supplied with dimmable halogen capsule lamps. The architectural Art Deco style provides a soft yet stylish designer look for almost any room. The etched shades will diffuse the light evenly and illuminate the room with a soothing glow. A simple yet thoroughly stylish fitting for any Art Deco themed room. Choosing a light to complement any Art Deco themed room couldn’t be easier than this. 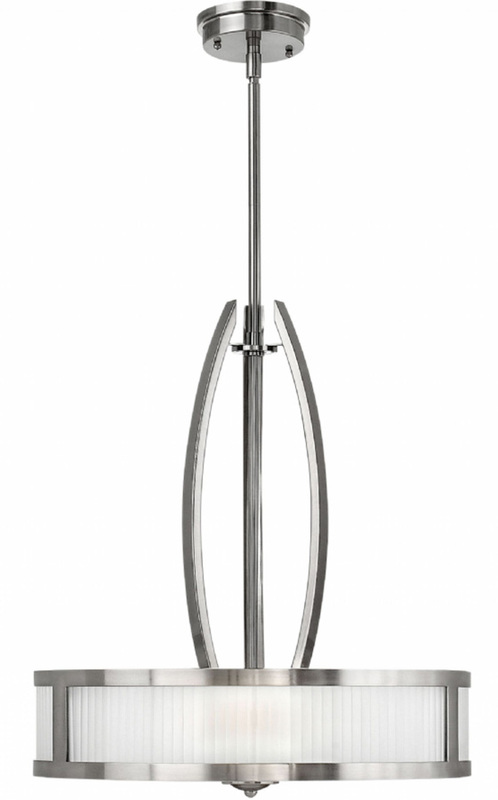 There are matching fittings available in the Meridian Art Deco style lighting range; please see below. Designed in the USA by Hinkley Lighting, founded in 1922 in Cleveland, Ohio. 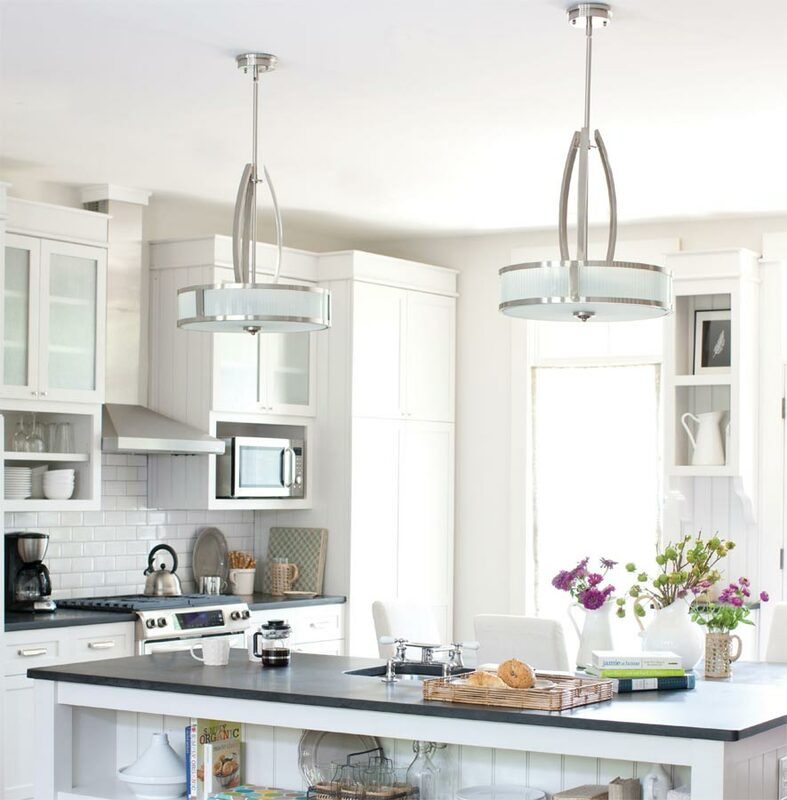 Their long heritage combines with a pursuit of innovative design to create modern and contemporary lighting such as the Meridian Art Deco style 3 light ceiling pendant finished in brushed nickel featured here.